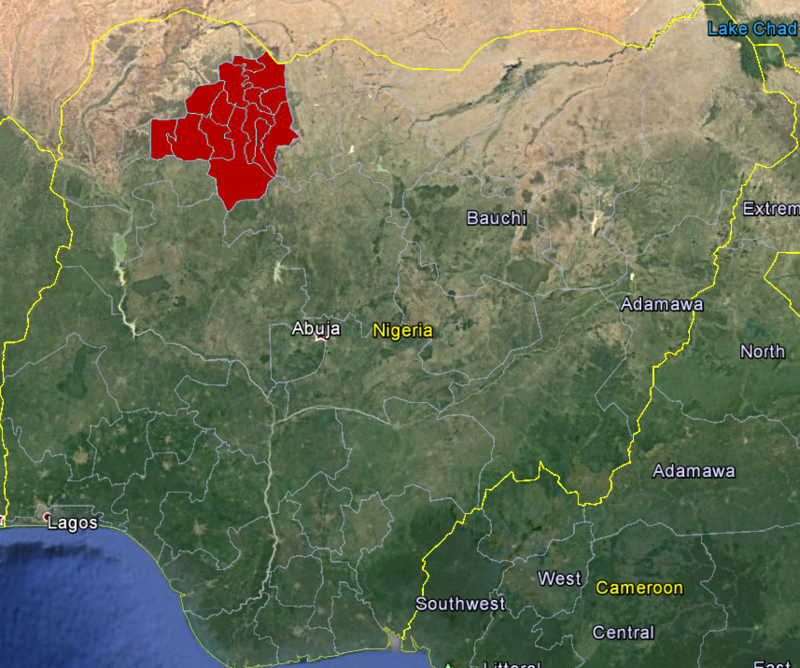 Zamfara state is located in the North West region of Nigeria. It has 14 Local Government Areas and a population of approximately 3.8 million people. Zamfara is bordered to the north by Niger Republic, to the south by Kaduna state, to the east by Katsina and to the west by Sokoto and Niger states. Zamfara state’s ethnic majority are Hausas and Herders, while minority ethnic groups include Gwari, Kamuku, Kambari, Dukawa, Busawa and Zabarma. Other ethnic groups found within the state are Igbo, Yoruba, Kanuri, Nupe and Tiv. The main languages spoken in Zamfara state are Hausa, Fulfulde and Arabic. The predominant occupation of the people is Agriculture with 80% of the population engaged in agricultural activities. 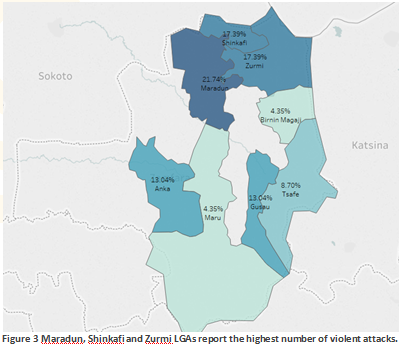 Zamfara has a high level of poverty with over 70.8% poverty rating. 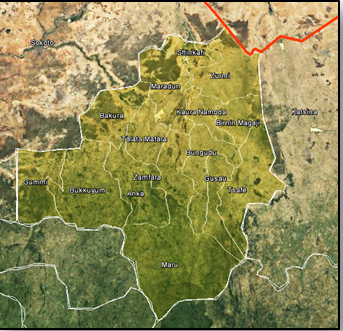 Zamfara has been plagued with security challenges which has grown incessantly worse over time. Hoodlum attacks, banditry and cattle rustling are major challenges they deal with. The porous border with Niger Republic has exposed Zamfara state to the proliferation of small arms and light weapons. High levels of unemployment and uneducated youth with nothing to do, has encouraged the formation of criminal gangs with easy access to arms. While the vast land expanse and deep forests have provided safe havens for criminal gangs who raid villages, kill citizens, rustle cattle, kidnap for ransom and attack travelers on the highway. Much of the insecurity has been tackled by vigilante groups and hunters. Policemen and soldiers are often attacked and killed. The local law enforcement frequently report arrests of criminals, but not much is known about what happens there after. In February 2018, the Zamfara state governor stated that with a population of over 4 million, the were only 2,000 policemen, 315 soldiers, 400 mobile policemen and less than 100 air force personnel. Although, these numbers are likely to have increased in recent times. As at 1 April 2019, the Nigerian Army launched ‘Exercise Harbin Kunama IV’ focused on tackling the armed bandits and insurgent groups from identified forest areas and strongholds in Katsina, Sokoto and Zamfara States. Heretofore, much of the defense related activities reported were Nigerian Airforce deploying air assets to launch airstrike on suspected bandit hideouts in the forests. The vastly ungoverned spaces and the forests provide major cover and protection for criminals in the state. While these may have been tactically successful, they have not been strategically successful in stemming the menace. Troops deployed to Zamfara experience direct small arms fire from the criminal groups. The criminal groups frequently patrol the communities and ask the locals questions about the capabilities, strength size, leadership and TTPs of the troops assigned to the area. The police in the area have been known to flee either at the onset or during intense attacks. One key complaint given by troops operating in the area, is the mode of transportation used by the bandits. The bandits utilize fast motorcycles which allow for easy maneuver evasion and escape, whereas, the troops have to utilize pick-up trucks and MRAPs which are comparatively inflexible. Another issue has to do with the delays and push backs they receive when requesting airstrikes on known enemy location. Those requests are often met with bureaucratic paperwork processes detrimental to successfully tactical operations. In the case of close air support, the response often comes too late (up to 1.5hrs after initial request in some cases). 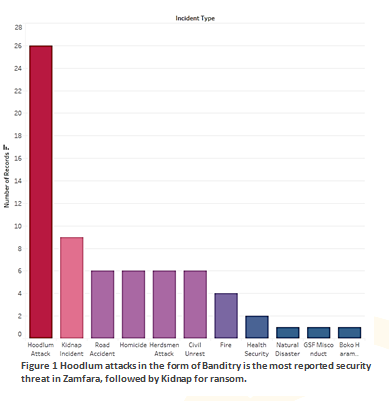 Banditry and kidnapping are the two main security threats and concern in Zamfara today. Farming and herding communities in Zamfara and the wider region have long been terrorised by gangs who raid villages, stealing cattle and kidnapping residents for ransom. Zamfara is largely an ungoverned space and in response to the incessant insecurity, residents began forming and hiring local vigilante groups to confront the armed criminal groups. This development has given rise to the recent increase in violent incidents, as accusations of extrajudicial killings of suspected bandits have arisen. In addition, the criminal groups have begun conducting reprisal attacks against the vigilante groups to avenge the death of their members. According to reports, villagers would rather vigilante groups are disbanded because the communities with them are usually on the receiving end of vicious reprisal attacks by the bandits. 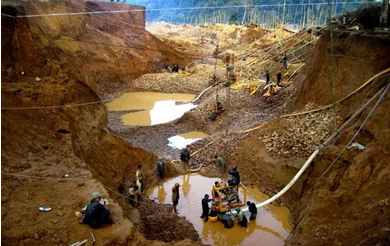 The poor governance in the state has exacerbated illegal gold mining in which many of the criminal gangs operating in the region have links to. However, gold mining communities are also frequently targeted. In a reported incident approx. 50 bandits cordoned off the area, robbed the mines, demanding for gold and other precious stones from the miners. Figure 2 Zamfara illegal gold mining operations are large scale with some reports indicating that security personnel have on occasion been found providing static security for the mines. You will see them (the armed bandits) in broad daylight brandishing their AK 47 rifles. In some communities, they move freely, demanding of the villagers to mind their business, while they (bandits) mind theirs. Some members of the community even approach the bandits to settle their disputes. The bandits lord it over these territories with 100% control. The only difference between them and Boko Haram is that they do not govern or administer Sharia. Many believe the attackers are Fulanis from both Niger Republic as well as Nigeria. Interestingly, their targets are also local Fulani cattle-rearers who have no means of protecting themselves. The motivation for these Zamfara attacks is primarily pecuniary. Attacks initially focused on stealing cattle and reselling them (cattle goes for approx. $600 in the market). However, the criminals realized they could also kidnap villagers for a ransom and make even more money. Kidnapping in the state started increasing in 2018. The abductors have no preferred target criteria or profile. However, traditional rulers and family members of political elite are often been targeted. Abductions occur mostly from residences and during anytime of the day including broad daylight. Increasing the number of Policemen operating in the state- A state run system incorporating and training the vigilante’s can be a start. Review of the military Air Strike approval process, response time of CAS requests and additional training and equipping of the policemen to reduce cases of policemen abandoning their duties and responsibilities during attacks.